Environment, Economics, and Energy. Which of these E’s is the most important? That’s the question people have been asking for the last three decades with environmentalists, economists, and energy advocates fighting each other at every corner. The environmentalists fight for clean fuel sources, economists fight for the cheapest fuel source, and energy advocates fight for energy independence. With every battle though, the most recent being the Keystone pipeline, a dialogue is opened between these competing parties and progress can be made towards a common goal. That goal is clean sustainable energy that is economically viable and produced in the United States. It sounds like a fairytale if you listen to media outlets, however huge strides are being made in this field. 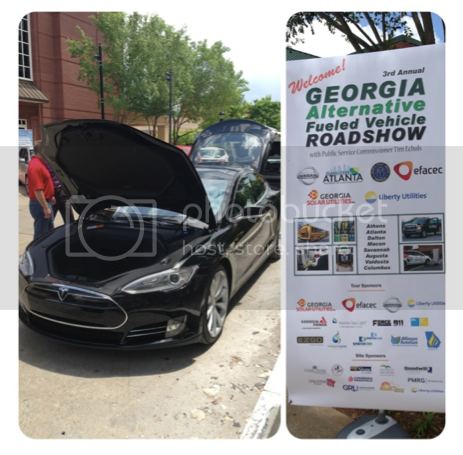 Evidence of this progress was on display at the Georgia Alternative Fuel Vehicle (AFV) Road Show in Athens last week hosted by Public Service Commissioner Tim Echols. The AFV Road show is an event that travels around the nation educating city leaders, state legislators, and private business owners on how changing vehicle fleets over to alternative fuel is environmentally friendly and economical. The road show displayed vehicles that run on alternative fuels like natural gas, propane, and electricity. Models included the Tesla and Nissan Leaf, which both are fully electric, and an AutoGas (propane) powered school bus. The AFV Road show also included a seminar session where different alternative fuel companies presented uncommon fuel sources for vehicle fleets. One of these companies, Alliance AutoGas, uses propane to power vehicle fleets. Liquefied petroleum gas, or AutoGas, is the third most popular vehicle fuel in the world with about 18 million vehicles worldwide and 200,000 in the United States. The number continues to grow as propane prices remain cheaper than gasoline. The average price for gasoline is currently averaging $3.44 per gallon while propane, with the tax credit, averages $1.53 per gallon. You can view the data about the cost difference here. Propane also produces twenty percent less emissions than gasoline or diesel. When those numbers are broken down further it shows a reduction of carbon monoxide by 20%, a reduction of nitrogen oxide by 40%, and a reduction of carbon dioxide by 10%. AutoGas also furthers the goal for energy independence with over 90% produced domestically. About 70% of AutoGas is recovered from the ground while the rest is recycled from gasoline. When gasoline is made one of the byproducts is propane. Previously, it was flared off after gasoline was made, however it is now captured and used. AutoGas accomplishes the goal of using a cleaner, cheaper domestic fuel source. The Nissan Leaf is the Japanese automakers electric car that has gained popularity in the United States. An average car produces about a pound of carbon dioxide for every mile it drives, however the Leaf it is 100% emissions free. The EPA has developed a formula that equates one gallon of gasoline to 33.7 kW per hour. 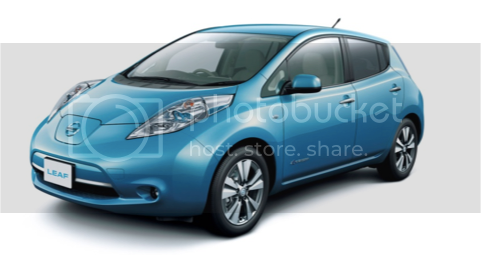 Based on that formula, the Nissan Leaf has 129 MPG fuel efficiency in city driving and 102 MPG in highway driving. The Nissan Leaf has a maximum range of 100 miles on one charge but the EPA estimates that the average is closer to 75 miles. Over 70 percent of Americans drive less than 30 miles every day which makes that range more than adequate for a majority of the population. The Leaf has been under development for 15 years and was introduced in 2011. The average person spends about $300 a month on gasoline while a Leaf owner spends only about $10 to $15 a month to drive the Leaf. The cost of maintenance on a leaf is also greatly reduced since it does not require oil changes or tune ups. A 15,000 mile check up on a Nissan Leaf costs about $20 for a tire rotation, car wash, and battery check up. The Nissan Leaf is the embodiment of what the future of transportation holds. A zero emission car that reduces costs and is powered by electricity. You can view how much you would save if you switched to a Nissan Leaf here. The Alternative Fuel Vehicle Road show showcased numerous of other cars and companies. You can find a list of sponsors and dates of events for the road show here. Georgia is now at the preface of an energy revolution. While alternative fuel use continues to expand, the state is also looking to get away from coal which has long dominated the state’s energy portfolio. Two new nuclear reactors are in construction, research in biomass and bio fuels are continuing, and the state is starting to take advantage of its solar possibilities. Just this year it was announced that Dublin High School in middle Georgia would be installing solar panels to reduce its energy costs by 40 percent. Robert Green, CEO of Georgia Solar Utilities and Greenavation, spoke at the road show and completed the financial analysis for the project. Ground breaking projects like these continue to drive the conversation. So which E is the most important? The answer is all of them. This is not a one-size-fits-all solution and each of the fields (Environment, Economics, and Energy) are all interconnected. The best way to help one of them is to help all of them, and programs like the Alternative Fuel Vehicle Road show support all three of those aims. Diego graduated from the University of Georgia with a degree in Environmental Health Science and researches energy and environment issues for our legislative research staff.